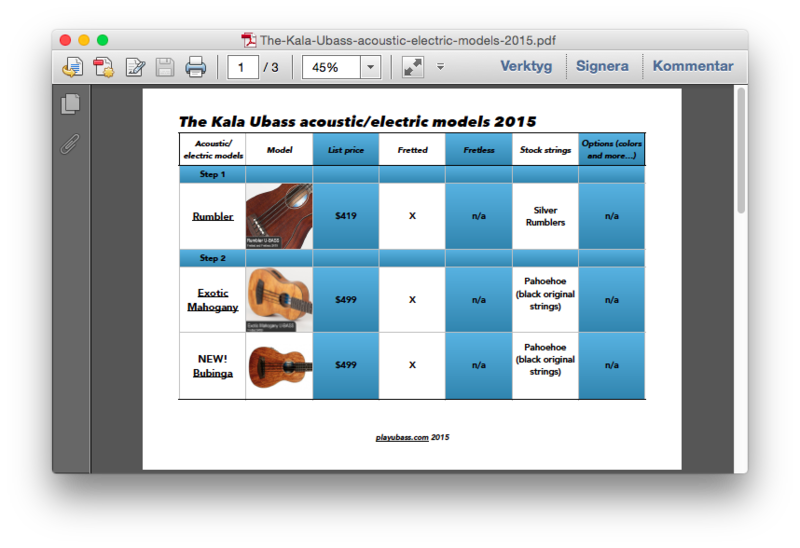 Model comparison chart – Kala Ubass acoustic/electric models 2015 – Play UBass! I get a lot of question about different Kala Ubass models so I decided to make a little chart. In this first chart the focus is the acoustic/electric models. < Playubass in Brazil 2015! Great work Magnus. This is a very handy chart.